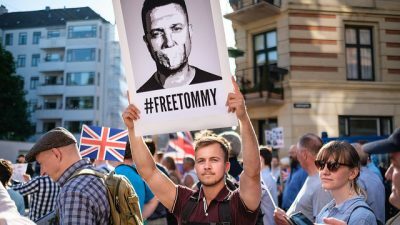 We recognise that there needs to be a debate concerning the efficacy of different approaches to undermining support for the far right if we are to refine our intervention. Unfortunately, Keiron Farrow offers little in terms of a positive way forward. His piece casually runs together the Hope not Hate (HNH) and Unite Against Fascism (UAF) campaigns, two organisations he says have ‘broadly similar approaches’, and in doing so blatantly confuses their methods and approaches. The first important thing to say regarding HNH is that it is a constantly evolving campaign. Because we are not stuck with any old dogma we are able to gauge what works, refine those elements that are helpful and move away from tactics that do not work. 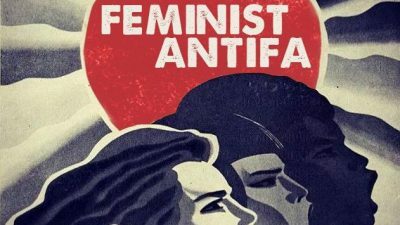 For a long period, especially during the 1990s, anti-fascism was something of a minority interest, with a few committed groups and individuals either spying on or beating the far right. This approach might be described as proportional as the BNP offered no political threat in those days, although they posed a physical threat to those they targeted. 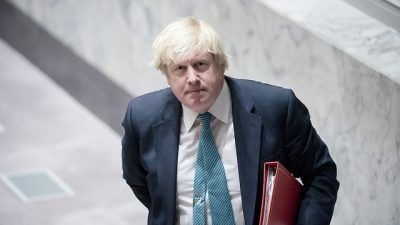 This changed in the early years of this decade as the BNP for a number of reasons was able, under Nick Griffin’s leadership, to present itself increasingly as a political solution to the problems faced in certain communities. Since that time we have seen a growth in the far-right vote that is without precedent. During this period the anti-fascist movement has had to learn how to deal with a party that knows how to win elections. We have also had to deal with an organisation that has moved out of its traditional strongholds and is able to gather a sizeable vote almost anywhere. The BNP vote can now longer be dismissed as a protest; rather, the BNP has become the first choice for a significant number of voters. Certainly, 10 or 15 years ago, the anti-fascist magazine Searchlight would highlight the criminal convictions of far-right activists and candidates. However, this tactic is used far more sparingly these days as we know it has a limited appeal. 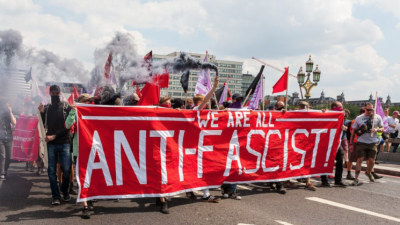 Rather what we have seen is a growing realisation and understanding that anti-fascism has to address the political, social and economic issues that are giving rise to the far right. At HNH we know that most people who vote BNP are not Nazis, and we also know that there is a whole host of issues on which they feel ignored. Even here, though, there is an ongoing debate about what these social issues are. We are told often that it revolves around job and housing insecurity. These clearly play a part, but it is also about other less tangible discontents. 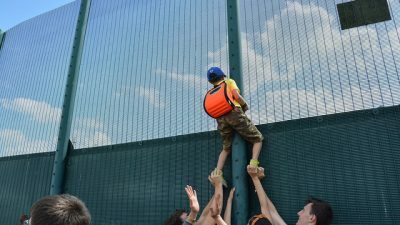 We are sometimes told that the question is about identity and in particular English and working-class identities … but are we really being told, in a polite way, that the big issue is immigration? The BNP has managed to give racial ideology and, in particular, fear of immigration a growing political outlet. It is tapping into large reservoirs of racism that have for too long gone unchallenged. For HNH, taking on the BNP is primarily about working with those communities under threat from the BNP. We have seen in some of our exemplary work, such as in Keighley, that grass-roots campaigning where local people take ownership of the fight against the BNP can be absolutely effective in defeating them. Keighley went from being a BNP ‘capital’ in 2004 to having no BNP organisation or even candidates by 2007. This was achieved by some old-fashioned proper community development work with residents on the threatened estate. Ironically, the leaders of that particular community came from the mums at the local Sure Start, which suggest to me that it is vital to defend what working-class communities have gained what has been gained over recent years, something Farrow neglects to mention. It is through this careful and patient work that the broad-based alliances necessary to defeat the BNP can be built. There is also the point that third-party campaigning is limited in what it can achieve. For the BNP to lose an election, another party has to win. Hope not Hate is not an appendage of the Labour Party, but clearly it is often the case that Labour that needs to get more votes than the BNP for the BNP to lose! We disagree entirely with the claim that the BNP can never fulfil its programme and that its real crime is delaying the rise of independent working-class opposition. This seems both complacent and self-indulgent. It almost seems that Farrow believes that voting Labour is a worse crime than voting BNP. What is astonishing is that our hard-left critics have not managed to make any headway over the past few years; their derisory election scores are indicative of how irrelevant they are to the working class of which they speak so much and understand so little. Farrow is right to suggest that the battle for hearts and minds continues on the estates devoid of the far left. But if at the end of this the working people reject the hate of the BNP and vote Labour it will be called a victory. The election of Griffin and Brons as MEPs is devastating, but we must bear in mind that there was no massive surge to the BNP. Rather, the Labour vote collapsed. It is worth remarking, however, that in Bradford, for example, where HNH is long established, the BNP vote went down while the Labour vote went up. Intelligent community-based campaigning exposes the BNP for what it is, as well as providing a defence of civil society. Punitive policies aimed at those deemed alien means that resources that were formerly allocated to social care, anti-discrimination and integration can be transferred into policing, punishment, warehousing and banishment. By Liz Fekete.